Adding another 289 star class rooms to Colombo’s hotel inventory and adding four floors of Mall space, Damro group’s Marino Mall and Marino Beach Colombo was opened yesterday at Colombo 3. 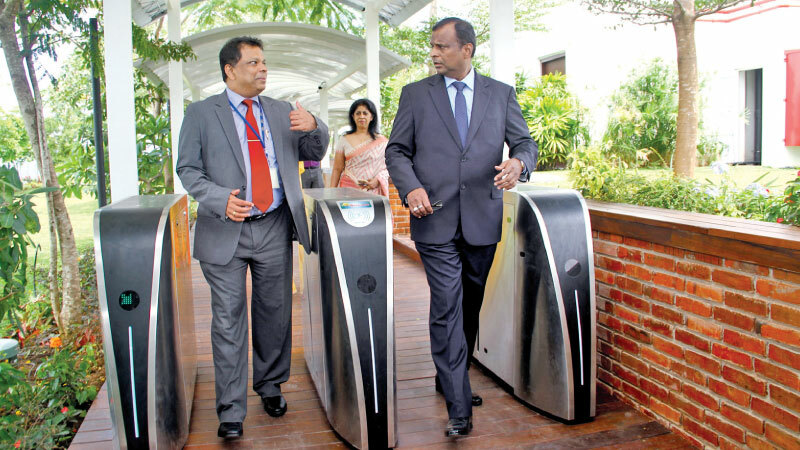 Chairman and founder of Damro Group, Damitha Ramanayake told ‘Daily News Business’ that they have invested over Rs 12.5 billion to build and open the hotel which would offer 289 rooms including two suites. The Mall has four floors of retails stores. In addition the 12 storeyed building with a three basement car park which could park 350 vehicles also has two large conference facilities which could accommodate over 1,000 guests. The Marino Beach Hotel built similar to Marina Bay Sands Singapore also has Sri Lankans’ largest roof top infinity swimming pool and a large garden and entertainment area. It’s also the first hotel project to have electronic card entry system to the roof top area. Angsana Spa and a night club too would be introduced soon to Marino Beach Colombo and the hotel would be managed by a 400 member staff under D. R. Hotels (Pvt) Ltd. Marino Mall consists 150,000 square feet of shopping area and has several novel tech features such as ‘Marino Mall 9D Cinema’ Virtual Reality Games and other adventure game areas and a climbing wall as well. “Marino Mall’s construction began in June 2013 and its design and entire project concept including the construction were carried out by the Damro Group,” said Managing Director, Prasanna Kodippili. Built on a 2.5 acre land the mall and hotel is accessible from both the Galle Road and Marine Drive.